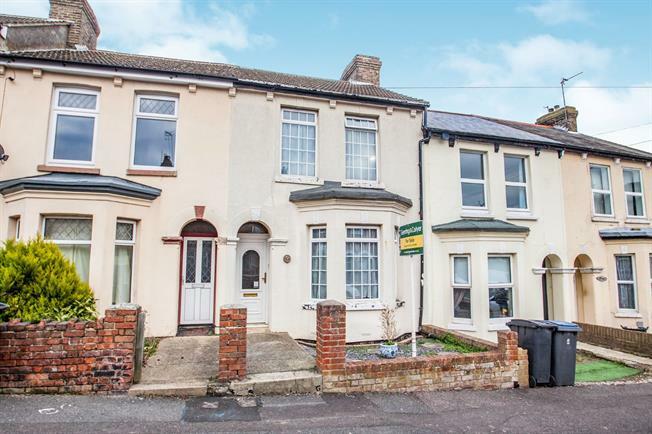 3 Bedroom Terraced House For Sale in Dover for Guide Price £180,000. Period Features, Favoured Location - Perfect for first-time buyers, young families, buy-to-let investors. Wanting to move into your own space? No problem. This property provides three bedrooms, two reception rooms and a garden whilst also providing a convenient location for schools, transport and local amenities. 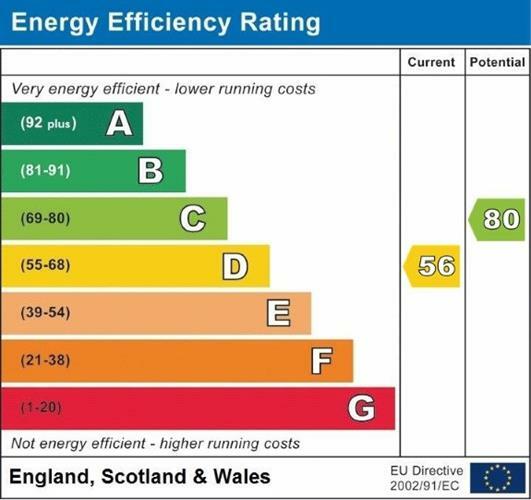 With a newly fitted boiler, double glazed windows and potential for decorative improvement, this could be the place for you for many years to come. Double glazed uPVC front door. Radiator, carpeted flooring, dado rail. Double glazed uPVC bay window facing the front. Radiator and electric heater, carpeted flooring, chimney breast. Double glazed uPVC window facing the rear. Radiator and electric heater, carpeted flooring, chimney breast. Double glazed uPVC back door opening onto the garden. Double aspect double glazed uPVC windows facing the rear overlooking the garden. Under stair storage and boiler. Roll top work surface, fitted wall and base units, stainless steel sink, integrated electric double oven, integrated gas hob, space for dishwasher, space for washing machine, space for dryer, space for fridge/freezer. Double bedroom; double glazed uPVC windows facing the front. Radiator, carpeted flooring, fitted wardrobes, picture rail and chimney breast. Double bedroom; double glazed uPVC window facing the rear. Radiator, carpeted flooring, chimney breast. Single bedroom; double glazed uPVC window facing the rear overlooking the garden. Carpeted flooring. Double glazed uPVC window with obscure glass facing the side. Vinyl flooring. Standard WC, panelled bath, pedestal sink.